Florida man asks: "who gets up 2 a.m. and fixes sketti?" 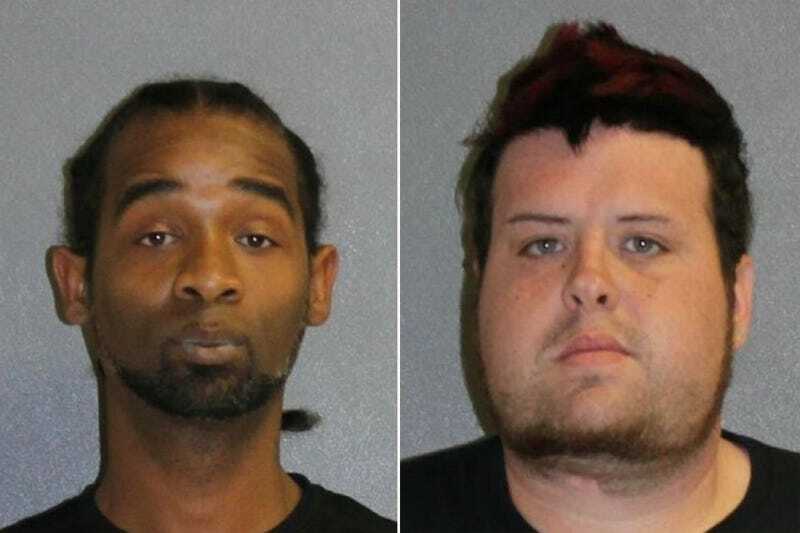 Two Florida men tried to cover their tracks after robbing the house of another Florida man they both had dated by leaving a pot of spaghetti sauce on the stove to catch fire. They were caught in possession of a marijuana grinder, a vacuum, a window A/C unit, a tv, a heater, and an empty jar of Ragu spaghetti sauce. John Silva and Derrick Irving broke into the home, covered the security cameras with towels, stole the items, then put the spaghetti sauce on the stove in an attempt to start a fire so the evidence would be destroyed. The victim called 911 because the security cameras detected motion, and he believed someone was breaking in because a towel had been placed over one of the cameras. Police went to the home and saw a red Lincoln Navigator leaving the area. They stopped it, and found Silva & Irving with the aforementioned items. They denied burglarizing the victim’s home, instead saying that Irving told Silva he lived at the home and needed a ride there to retrieve some clothes and other items. Police found a pot of spaghetti sauce burning on the stove, with a washcloth placed near the burner that had just begun to catch fire. No, this is not the plot of Wild Things 5: Even Wilderer.